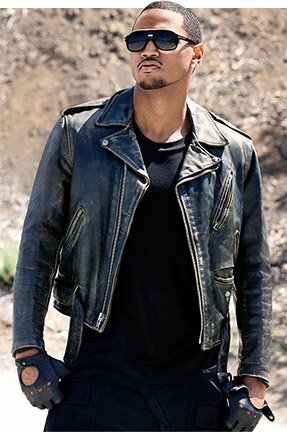 Trey Songz is best known as an R&B artist, but did you know that he&apos;s also an avid Bodybuilding.com reader and fan of Beast Sports products? In his latest video for the song "Na Na," Trey shows off his chiseled physique, but the video doesn&apos;t feature Trey just standing around with his shirt off. Instead, it verifies he knows what he&apos;s doing in the gym. From doing squats with women draped across his shoulders to pressing heavy cinder blocks over his head, Trey answers "Do you even lift, bro?" with a resounding yes. The 15-hour video shoot for "Na Na" was actually a 15-hour workout for Trey, and it took months of training to prepare for its filming. Find out how Trey got shredded for the camera and what parts of his training you can implement in your own workouts right here! Battling ropes is one of Trey&apos;s favorite ways to train his shoulders, core, and lower body. "Do one set of 50 of floor slams with both arms, one set of 50 across your body [horizontally oscillating], and one set of 50 of single-arm slams," he says. "As you&apos;re doing these, drop to a deep squat, keep your chest high, and keep good form. You don&apos;t want your shoulders to roll forward." Battling ropes are the perfect way to blend cardio, functional training, and resistance training into your workouts. No matter your goals, battling ropes belong in your program. Although the "Na Na" video exhibits Trey squatting with women sitting on his shoulders or wrapped around his waist, it&apos;s not the traditional way he gets in his leg workout. Trey explains that he mostly utilized pyramid training during his leg days. "Increase your weight and decrease your reps," he says. "Keep your feet shoulder-width apart and always watch to make sure your knees are moving in the same direction that your toes are pointed. Take deep breaths on each rep and always squat a safe amount for your current strength level. 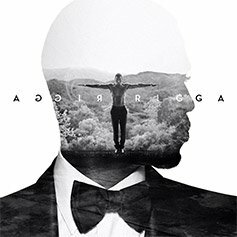 Go deep, stand up with power, and feel it in your glutes with each rep."
The new album "Trigga" from Trey Songz drops on the market July 1! Get it while it&apos;s hot! "You don&apos;t see me do these in the video but they&apos;re something I do regularly," Trey says. Man-makers are a full-body exercise that Trey has relied on to build a solid core. They&apos;re an explosive, high-functioning sequence of movements that bring amazing results to both men and women. Here&apos;s how to do them: Holding two dumbbells, drop into a push-up and then come up into a plank position. From there, keep your core tight and perform a single-arm row with each dumbbell. When you finish with the rows, come to your feet in a squat position and then thrust upward pushing the dumbbells over your head. Each of these movements performed in sequence equals one repetition. Man-makers work your chest, biceps, core, glutes, shoulders, and hamstrings. They are also an insanely tough cardiovascular challenge. Trey likes to alternate between traditional push-ups, clap push-ups, Hindu push-ups, and handstand push-ups. Hindu push-ups are a great alternative to traditional push-ups because they require functional movement and a significant amount of core control. "For Hindu push-ups, keep your hands shoulder-width apart and your legs extended. Drop into a plank by driving your head and shoulders toward the ground and then extending into upward dog yoga position. Come back up to your original plank position using the reverse movement pattern," Trey explains. Hindu push-ups hit the chest, shoulders, triceps, and your upper back. They also help elongate and strengthen the core. They&apos;re a great exercise for athletes looking to spice up their chest routine. For handstand push-ups, place your feet on a step or bench and form a 90-degree angle with your body. Use your shoulders, upper pecs, and abs to push your body straight up and down while you maintain that 90-degree angle. The word &apos;&apos;alpha&apos;&apos; gets thrown around a lot these days. Before you start slapping the label on yourself or anyone else, take this leadership course from the fittest man on Wall Street!